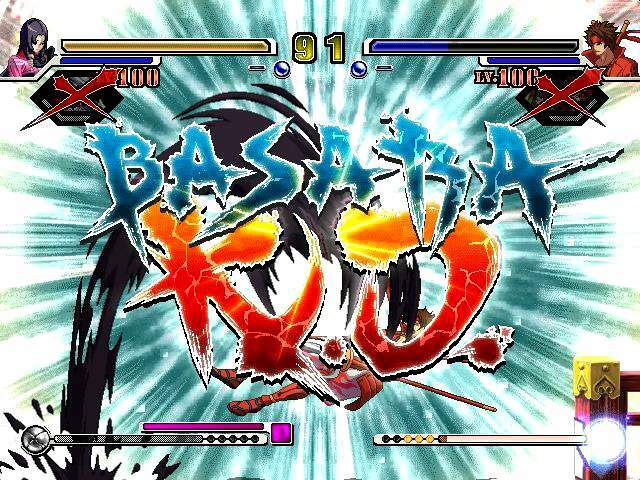 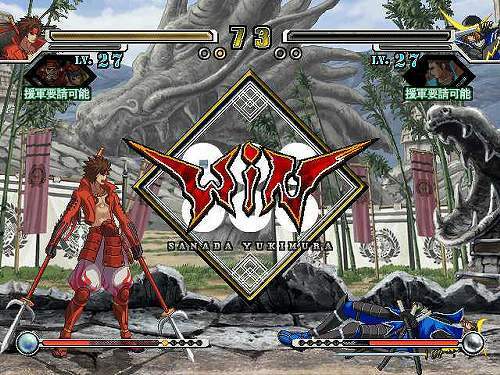 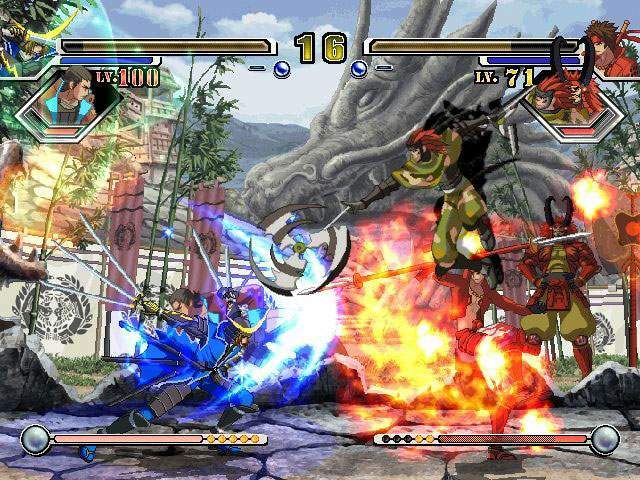 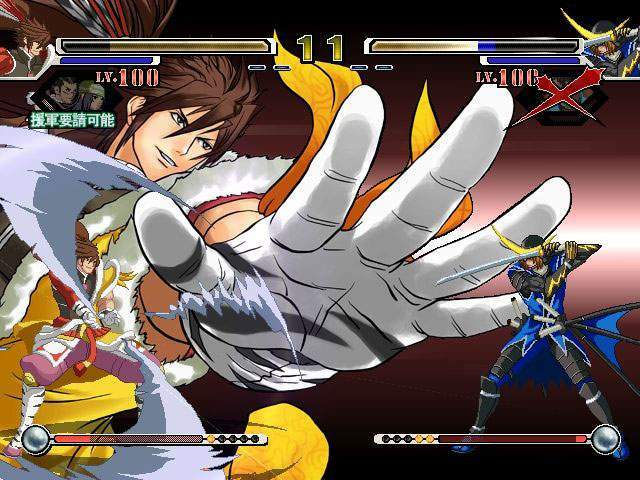 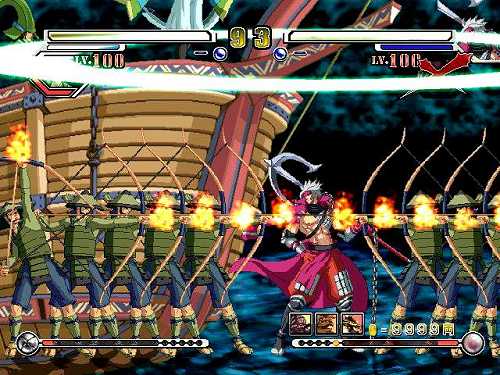 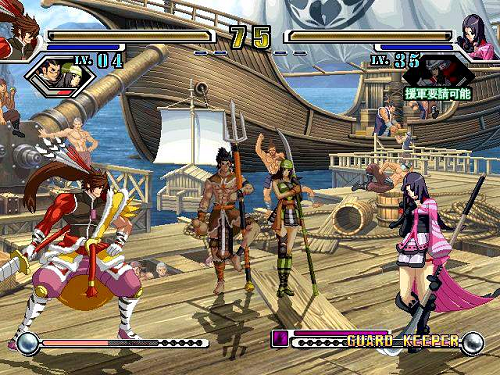 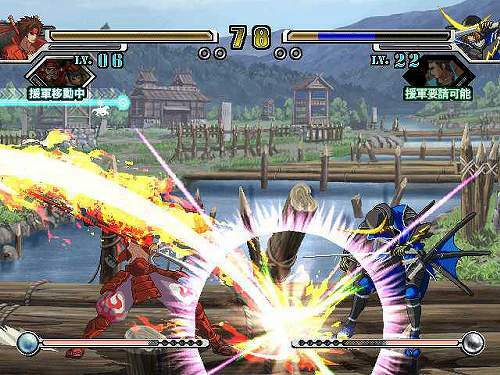 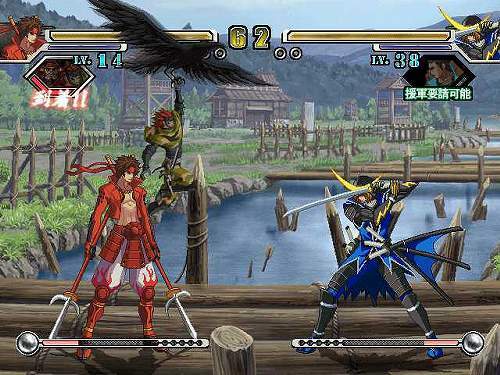 ABOUT: Sengoku Basara X (cross) is a 2D fighting game developed collaboratively by Arc System Works & Capcom; based off of the series of the same name. 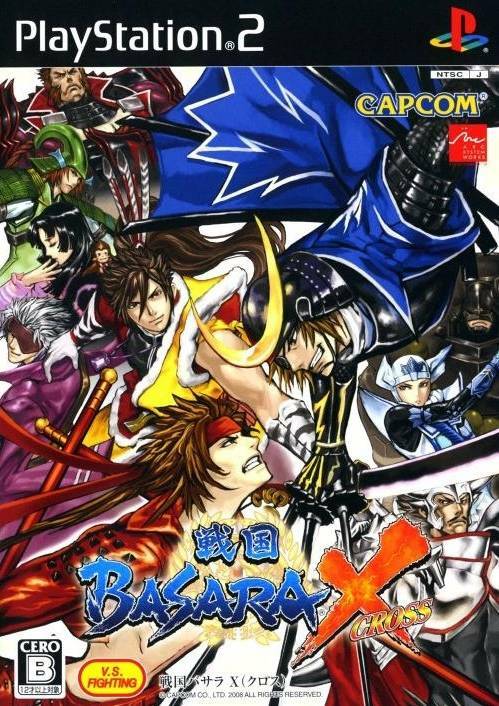 Fans of the Basara series will find a ton of fan service, from the dialogue & character mannerisms to backgrounds & music. 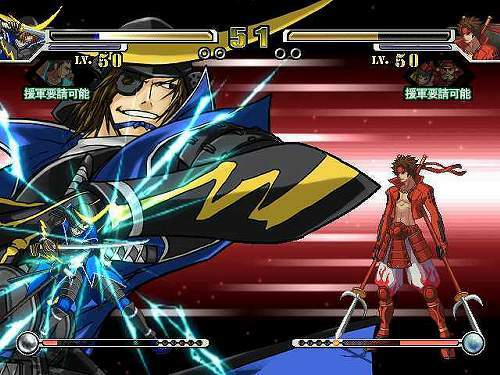 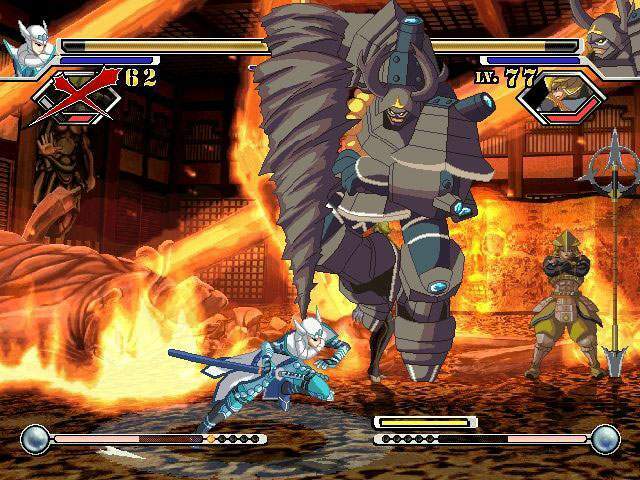 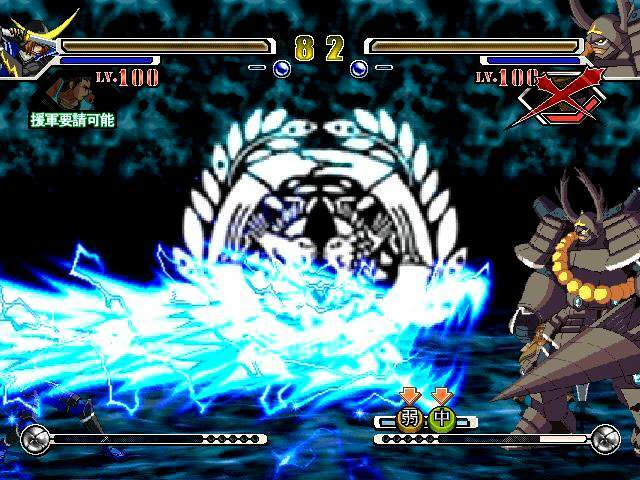 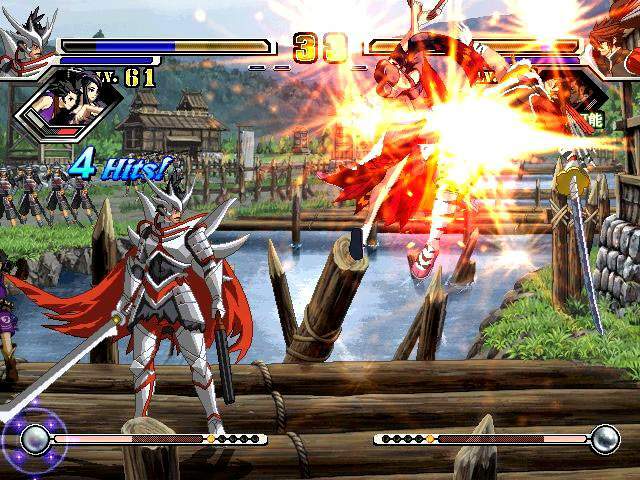 The game looks and plays very similar to the likes of Guilty Gear X and Hokuto No Ken. 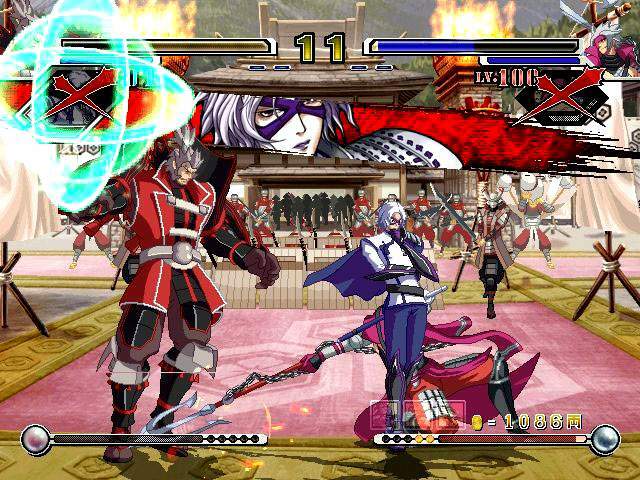 Could the colors of that guy's outfit possibly be more tacky? 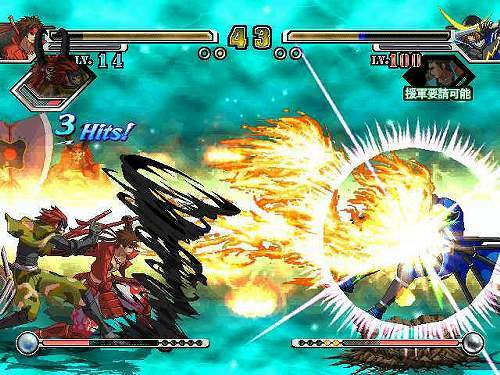 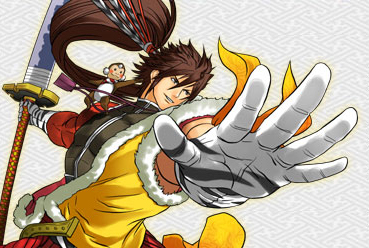 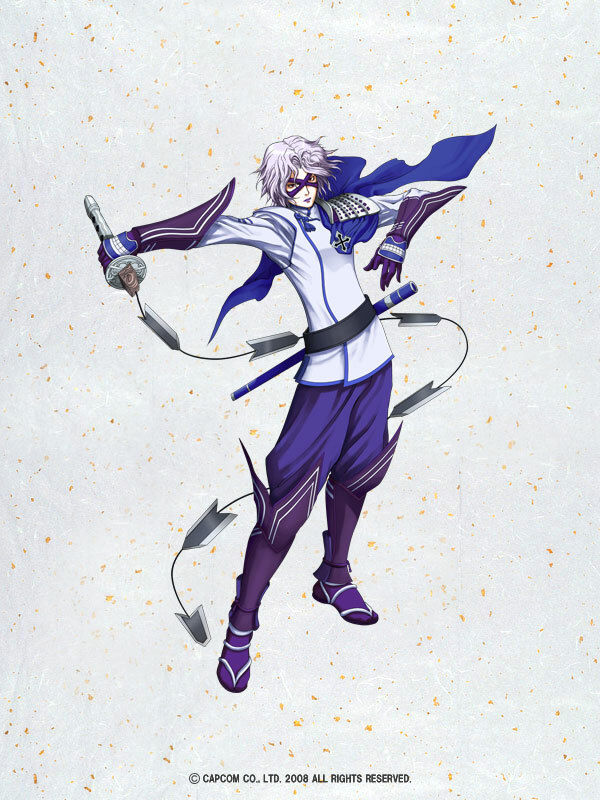 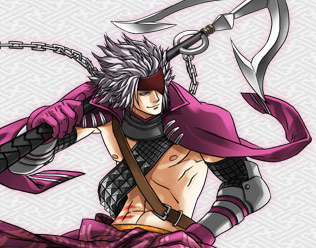 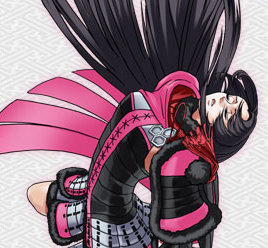 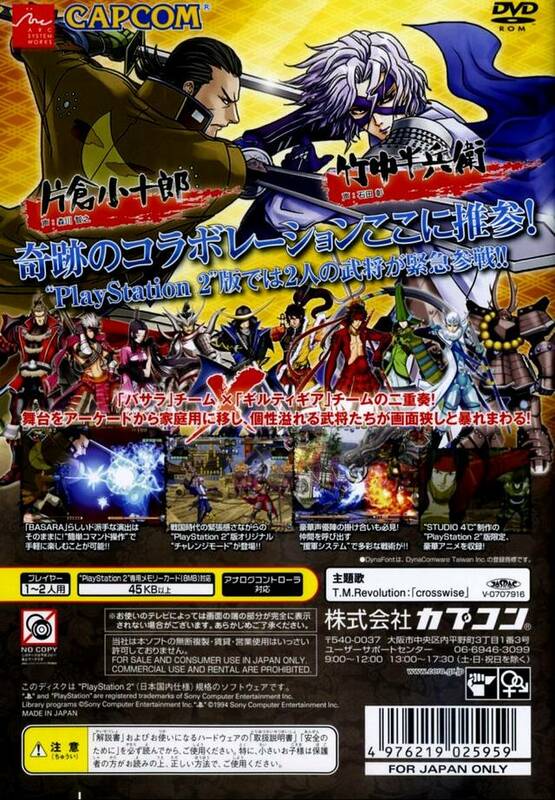 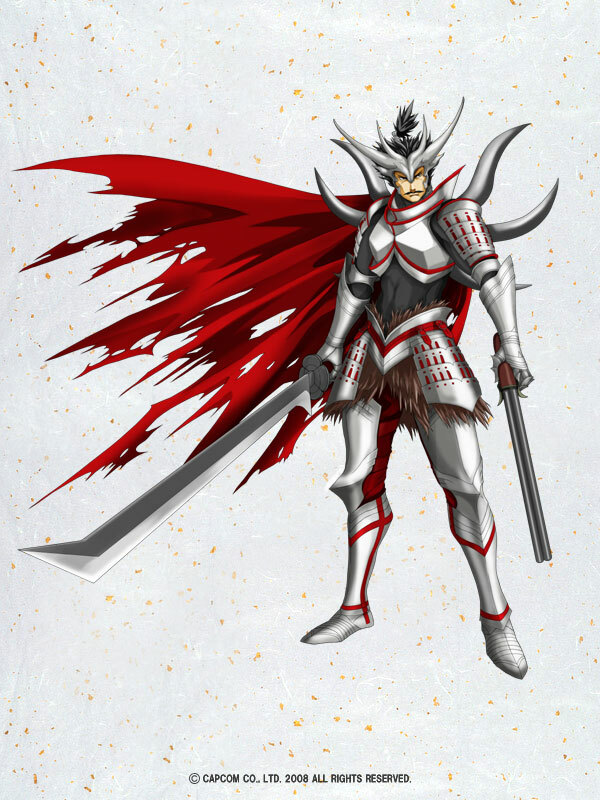 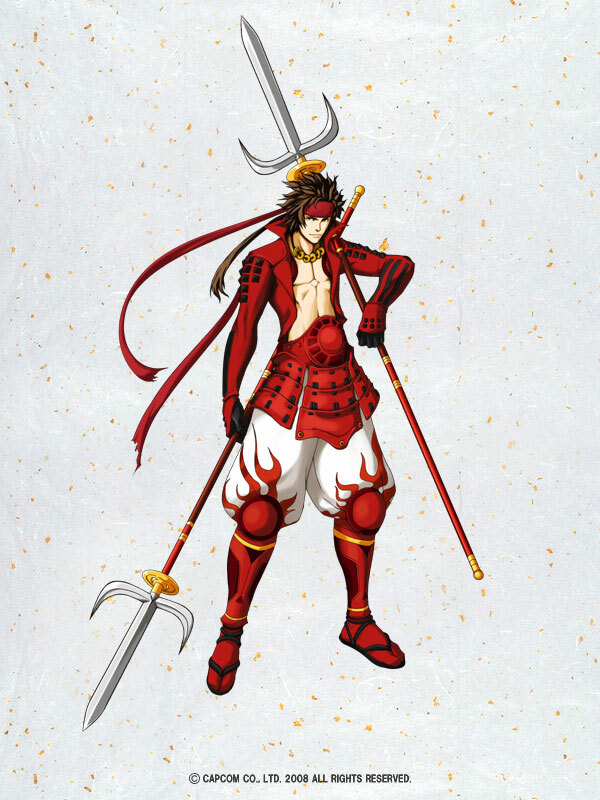 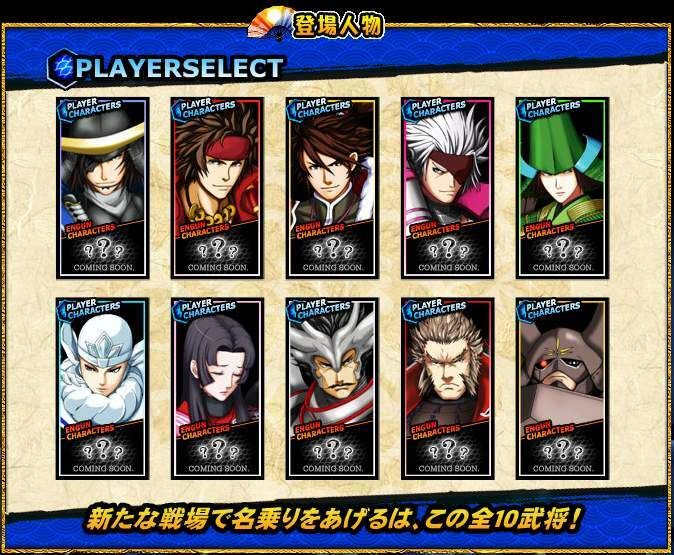 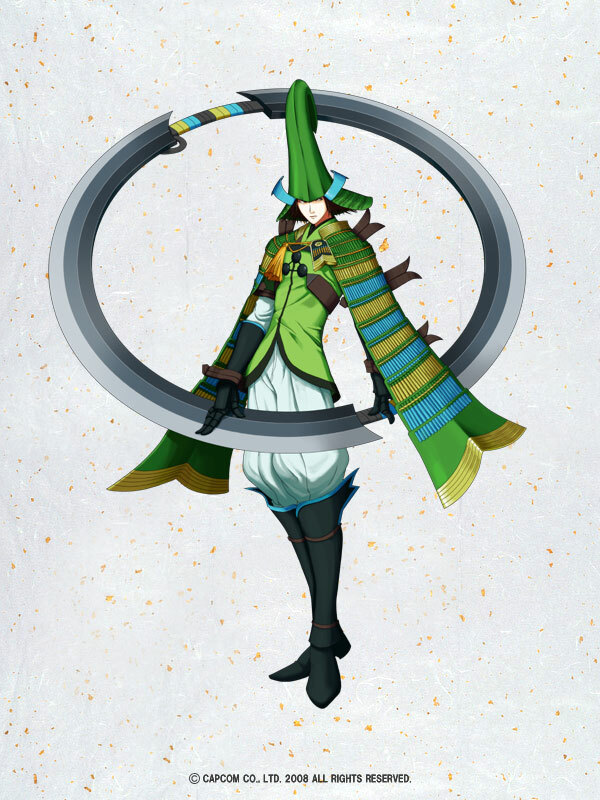 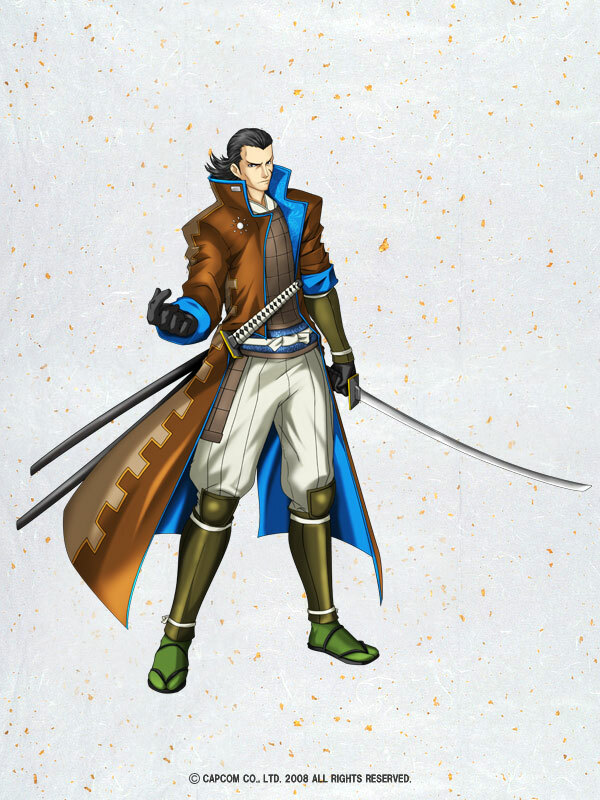 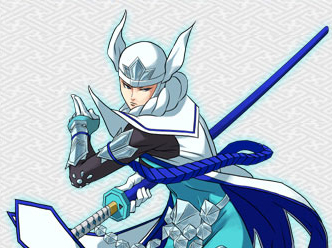 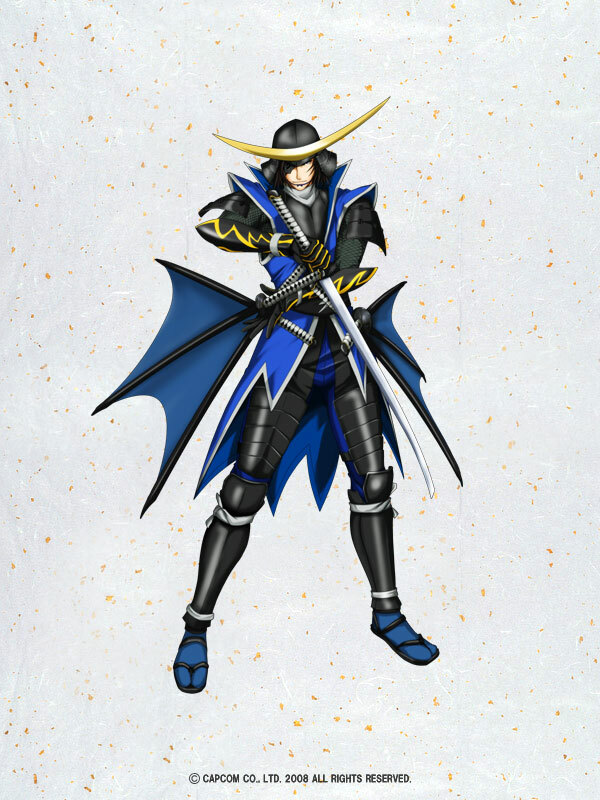 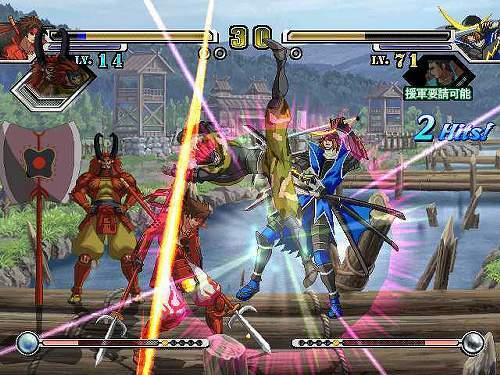 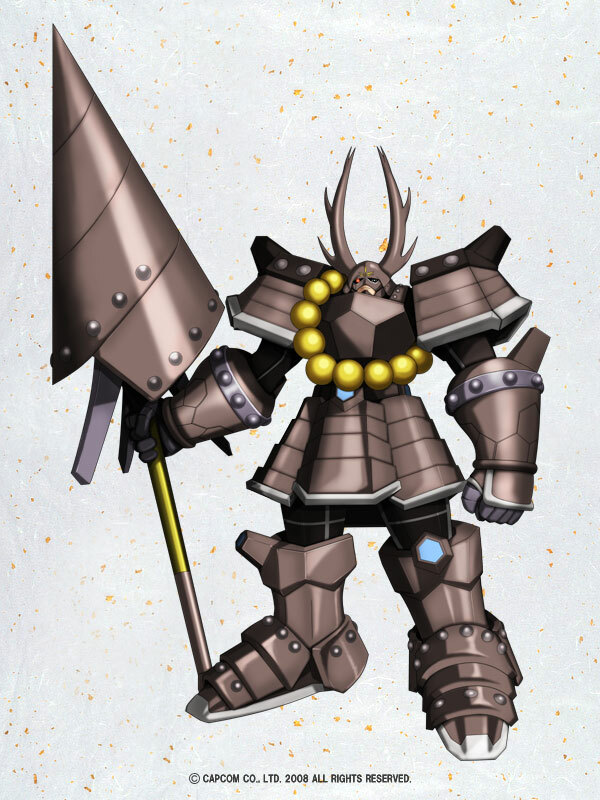 Sengoku Basara X features 10 playable characters inspired by Japan's feudal era and a "Reinforcement" or assist system. 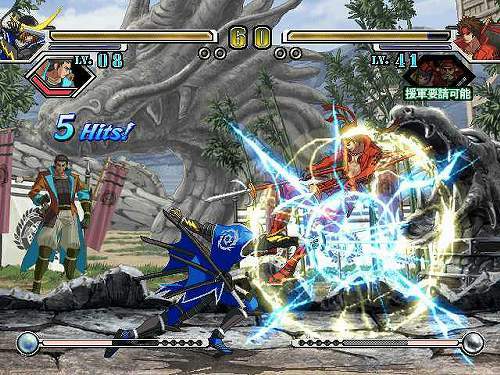 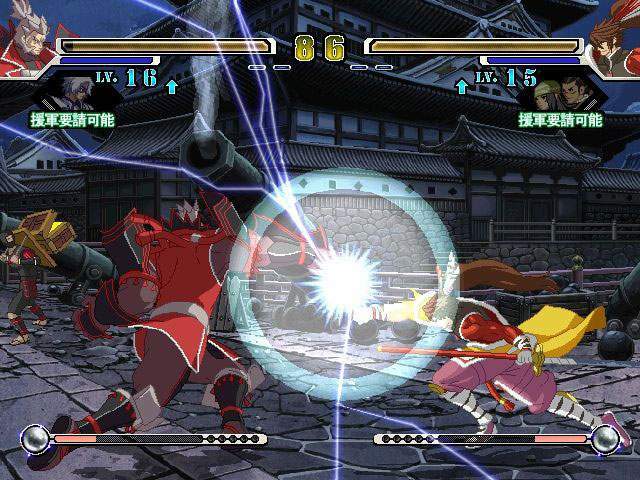 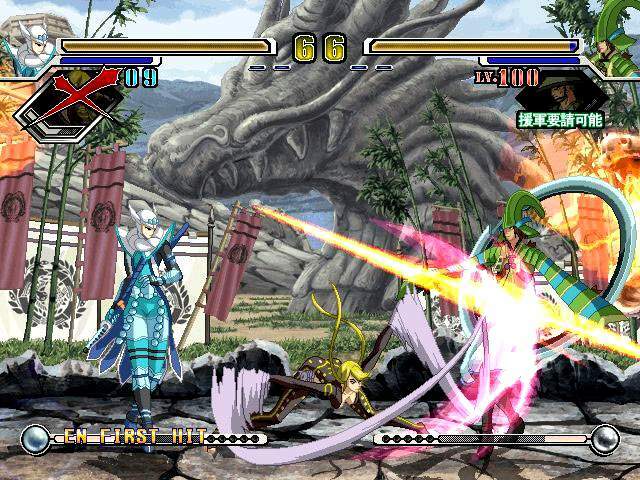 Each fighter has a special "engun" character that can be called in for an assist technique during gameplay. 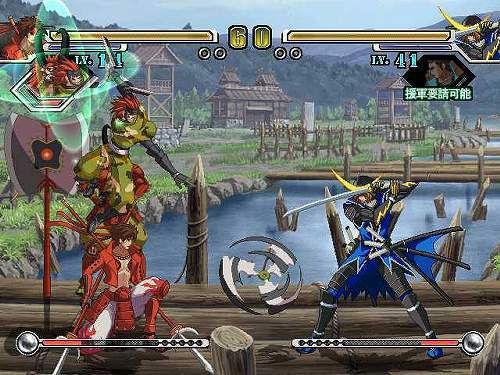 Each assist character can perform 3 different types of assist moves, each depending on the main fighter's current situation. 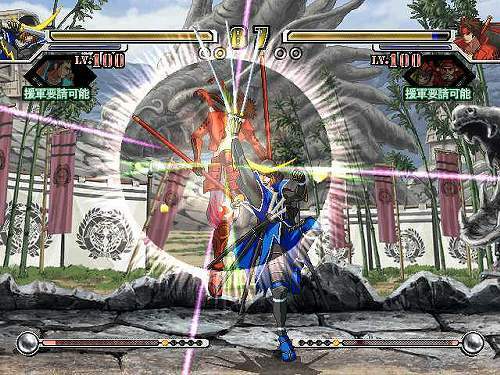 There's a default assist attack, a counter assist attack (occurring when the main player receives damage), and a special attack (occurring while the main character is doing a special move). 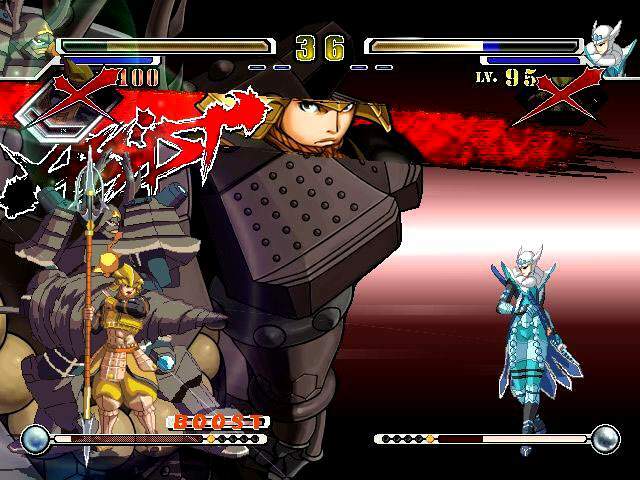 The Japanese-only PS2 version features two additional characters over the arcade version. 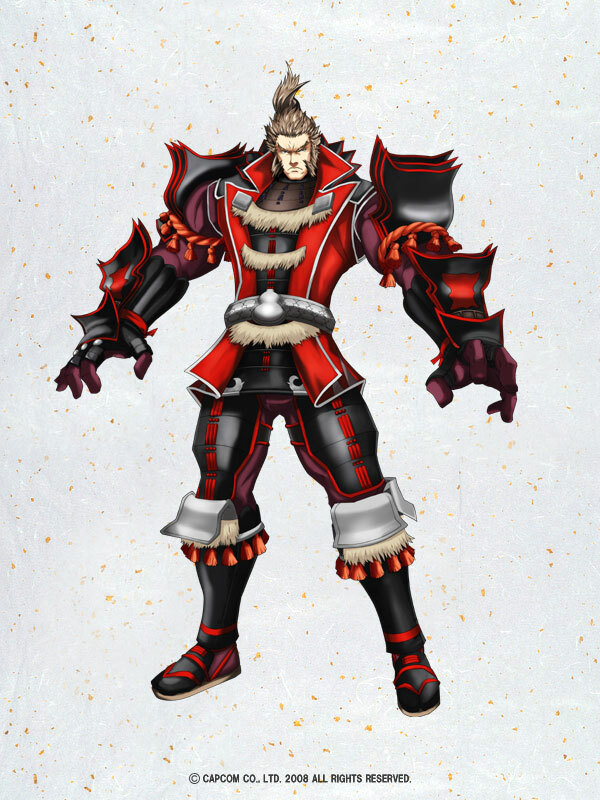 Uhhh, dude... 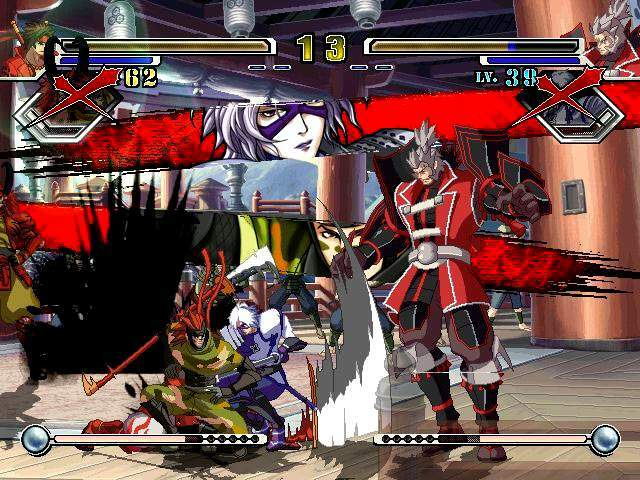 I think it might be a good time to duck.